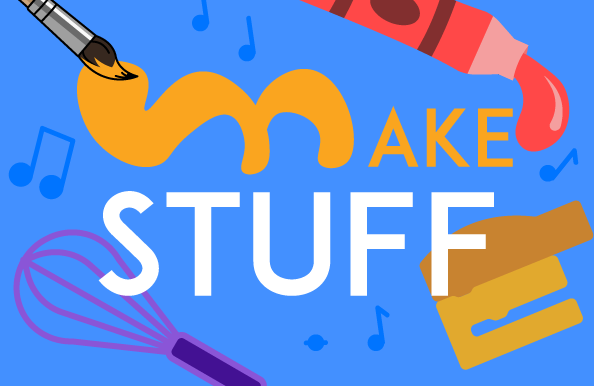 We’re excited to announce the theme for Scratch Camp 2018: Make Stuff. In the camp we’ll be, as the name suggests, making stuff, in Scratch and with physical materials. The camp will run for the three weeks between July 16 and August 4. Each week will have a new category of stuff to make, so be sure to stay tuned for more information! Until then, feel free to remix the Scratch Camp teaser project and add it to our camp headquarters studio. We can’t wait to see what you all will create! Previously social media such as YouTube, Tumblr, Reddit, Facebook, Instagram, Snapchat, even Scratch have been shielded from copyright strikes directly at them by two laws: Fair Use and Safe Harbor. These allow copyrighted works to be used on specific sites under certain conditions. If there is an issue with copyright the social media company does not receive a strike but is instead required to remove the content. The company is not responsible for the copyrighted content. Article 13 makes the social media company responsible for copyright infringements and shrinks the small margin of what is considered Fair Use. Article 13 is worded so vaguely it would be incredibly easy for large media companies to abuse it. Social media services may have to only whitelist large companies to share content to prevent getting copyright strikes. You may be saying, “Oh, but I'm not in the EU.” But, it'll affect you too. Services that have servers anywhere in the EU will be responsible for complying to Article 13, so all the social media companies have to update their terms to comply with Article 13. Yeah, all of us are going to be affected. Article 13 is currently in its final stage of voting. So help out. Spread the word! It's as simple as copying this and plastering it everywhere you can. We defeated Net Neutrality, we can defeat Article 13 too. Wait is this in real life? I know and I'm so excited! I just read about the Scratch Camp, now it's time for a real experience!